BANGOR– See the longest-running play in the history of American theater! 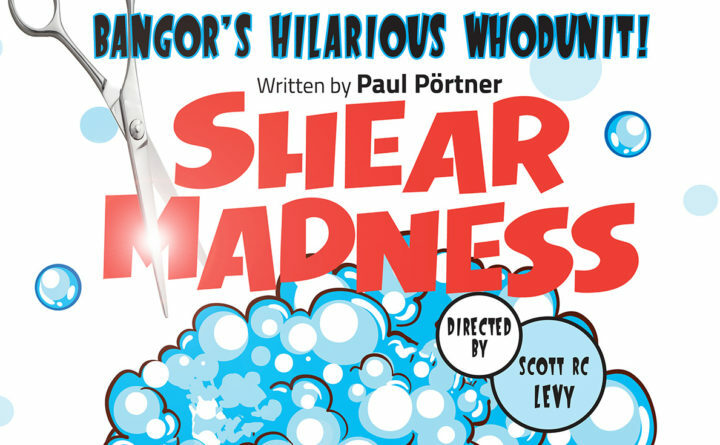 “Shear Madness” combines madcap improvisation and a spine-tingling mystery that audience members help solve. The story unfolds at a hair styling salon where topical humor erupts as spontaneously as the passion. Between a shampoo and a style, a murder is committed and you’ll have the opportunity to spot the clues, question the suspects, and solve the funniest mystery in the annals of fake crime. The outcome is never the same, which is why many audience members return again and again for more Madness! Runs from June 14- July 8. Showtimes vary. Please contact the box office at 207-942-3333.